Islamabad, August 8; Prime Minister Gilani asked the Youth Parliament Pakistan to develop innovative policies to tackle the crises of global recession, energy and terrorism. “You are at the age of specialisation; I ask you to develop your potential and specialise in areas where the country requires leadership,” he said while addressing the members of Youth Parliament Pakistan 2008-2009 at the Prime Minister House. “You have the luxury today to work within mock political parties in the Youth Parliament but I urge you to join political parties of your choice tomorrow armed with specialisation that the parties require,” said the Prime Minister, adding that the PPP did not have expertise on management of finance and had to bring in a technocrat in the shape of Senator Shaukat Tarin to make him the Finance Minister. 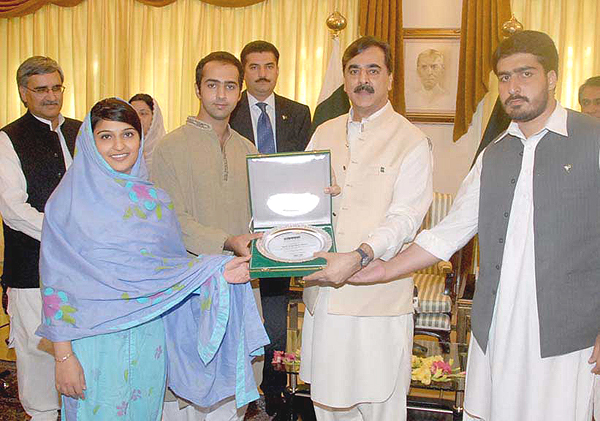 Welcoming the Youth Parliament members Prime Minister Gilani said that he has both been a seasoned parliamentarian and a former Speaker and was happy to address the Youth Parliament in both the capacities in addition to his office as Prime Minister. He termed health and education as the top priorities of his government and said that time will prove how victorious his government has been in these domains. Earlier Mr. Faisal Karim Kundi, Deputy Speaker National Assembly of Pakistan and member Youth Parliament Steering Committee spoke about the Youth Parliament at the meeting. 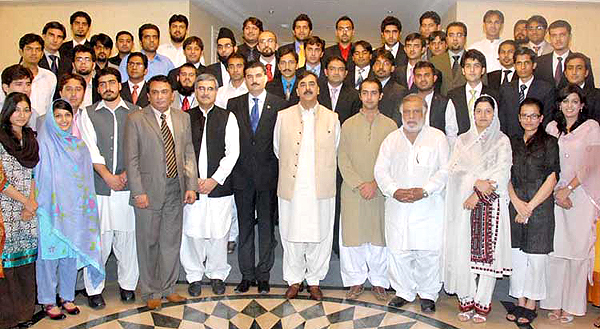 Mr. Ahmed Bilal Mehboob, Executive Director PILDAT introduced the Youth Parliament to the Prime Minister. Also present at the meeting were the Federal Minister of Youth Mr. Shahid Hussain Bhutto and Mr. Wazir Ahmed Jogezai, former Deputy Speaker National Assembly and member Steering Committee Youth Parliament. Youth Parliament members interacted in detail with the Prime Minister on a variety of issues including representation of Northern Areas into the National Assembly, state of implementation of education and health policies and FATA, etc.